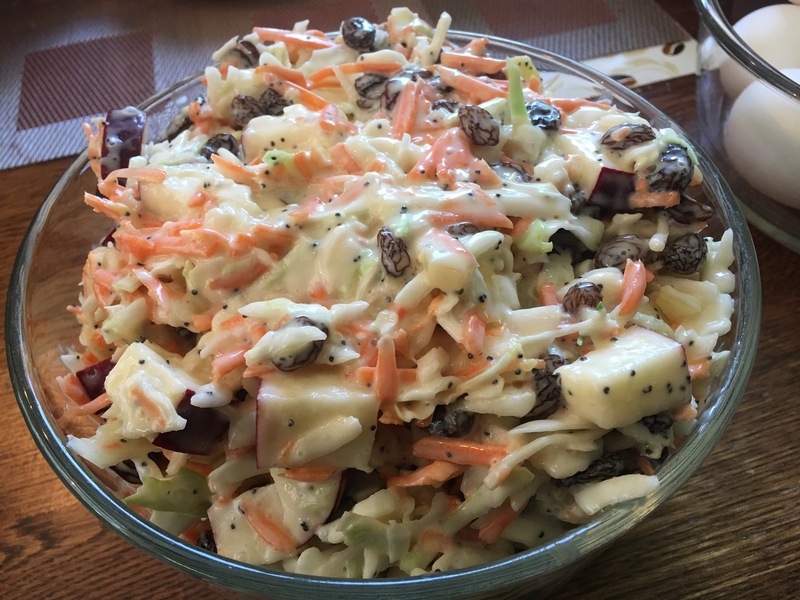 Just in time for Fourth of July fun, family and food, I wanted to share this coleslaw recipe with you. Coleslaw is one of my favorite cold salads. My favorite times to have it is when I can eat it with either with a barbecue dinner or a fish fry with spaghetti and hushpuppies. Either way I’m happy. This recipe today was shared with me from my friend Latina. I met her at church and we bowled together on the same league for a couple of years. Latina gave me a sample of her coleslaw years ago when she came to pick up a cake I had baked for her. I think it was a carrot cake with cream cheese icing I made for her that year. Well, I was immediately delighted when I tasted it. It was creamy, sweet with raisins and apples. I love apples too! So, I was sold….. It wasn’t until years later probably just 2 years ago when I finally texted Latina and asked her for the recipe. She replied back and happily texted back with the recipe. I make coleslaw all the time now for dinner with pulled pork sandwiches, and family functions, and everyone loves it. I mean they really love it. I made it last year for our annual family event last year I ended up giving the recipe out at least 3 times from that event. Before Latina shared her recipe with me I really didn’t want to make coleslaw, even though I like it a whole lot. I didn’t want cut up a lot of cabbage. Well, now that I know that cutting up a some cabbage isn’t hard to do. I could do it anytime. 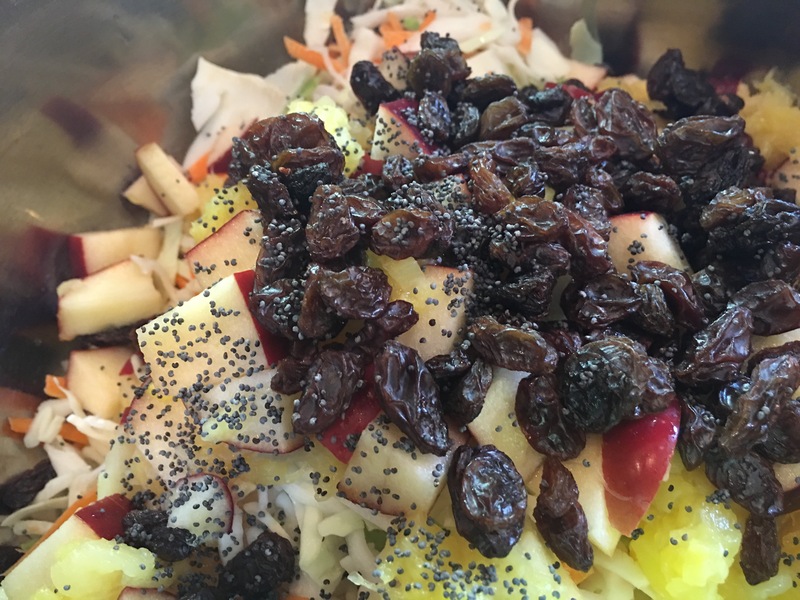 With this recipe that I am sharing with you today you won’t blink an eye because you can buy the packaged coleslaw mix and the prepared coleslaw dressing in the jar right next to it at the grocery store. Viola’, mix in you own special guests, refrigerate, and there you have some delicious coleslaw. Believe me. You won’t be sorry. 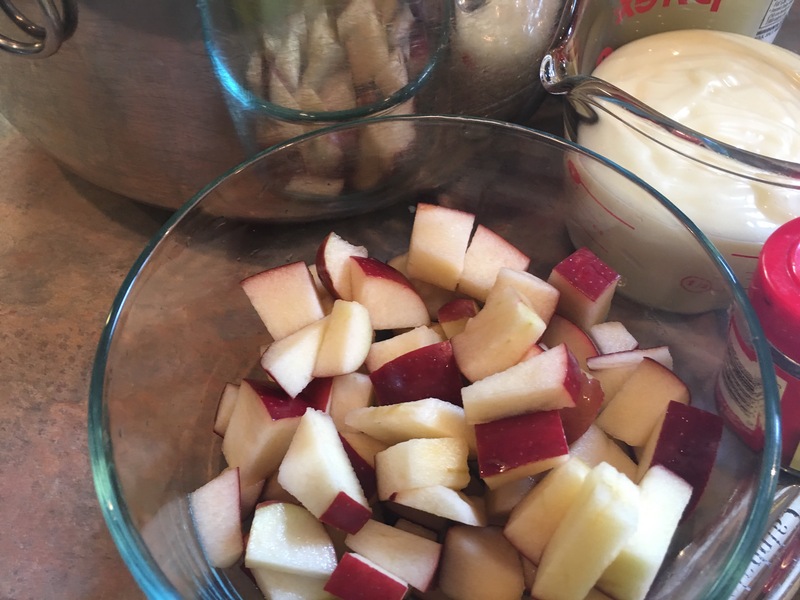 Place chopped apple in a medium size bowl in the lemon juice and toss to keep from browning. In a large mixing bowl pour in the coleslaw mix. Add in the raisins, partially drained crushed pineapple, poppy seeds, chopped apple, and walnuts if using. 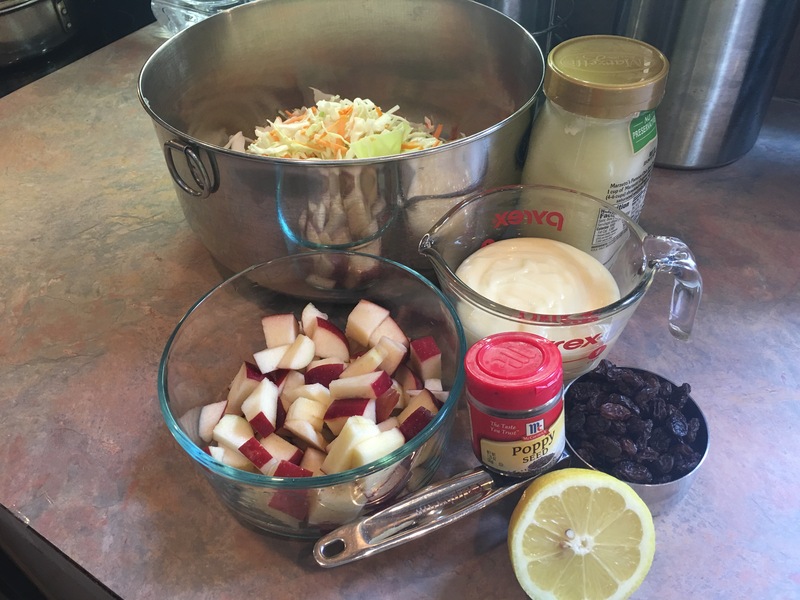 Next pour in 1 cup coleslaw dressing and stir all ingredients together till completely combined. Taste and add sugar if needed. 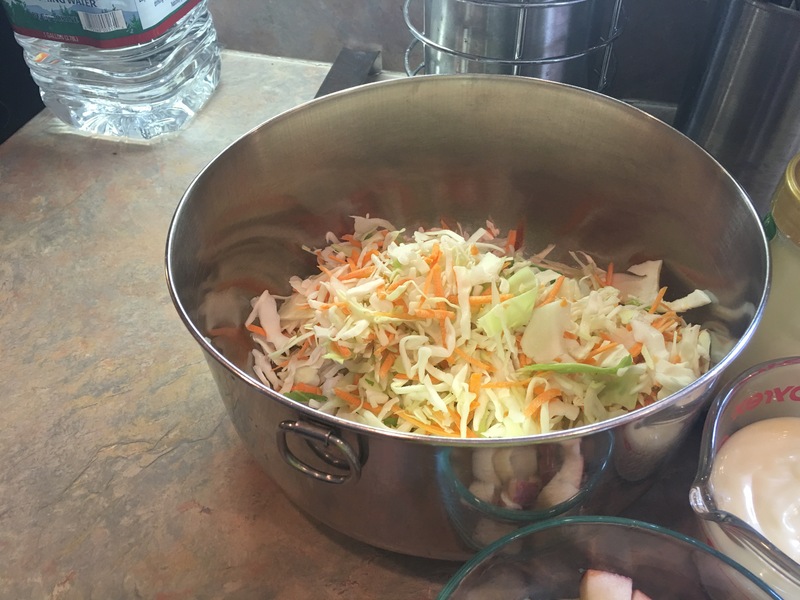 Transfer the coleslaw to a serving bowl, cover, and chill 4-6 hours or overnight and serve. 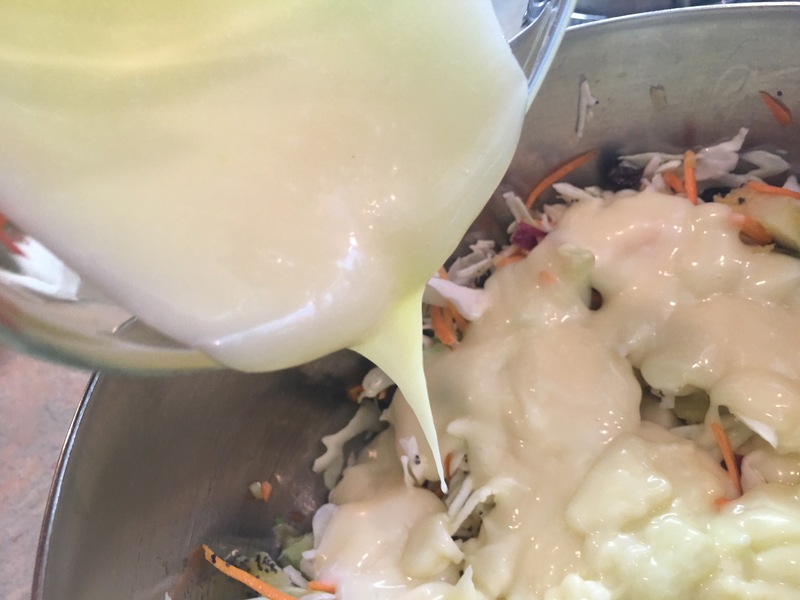 You may add in more dressing a little at a time if needed also until desired consistency is achieved. A little goes a long way with this recipe. **Be aware** The coleslaw will gets creamier as it sits. 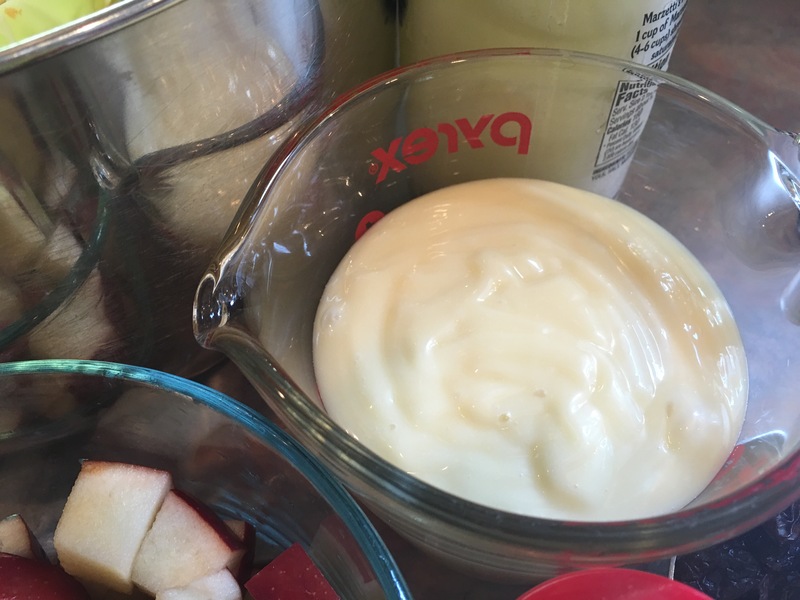 It may not look creamy enough when first mixed but the mixture will develop as it refrigerates. What cold salads do you like at your summer cookouts? Do you make a winning summer dish? What is it? Let me know in the comments! Thank you for reading Mouthful of Food! Happy 4th of July!! See you next time!